Established in June 1999 by Marlene and Alex Miller, Adam's parents. Largely funded by online donations, this important fund provides enrichment assistance for University of Michigan students with hearing, visual or mobility disabilities. Personal assistive devices, personal training, extracurricular and social activities, learning experiences and community outreach initiatives are provided by this memorial fund. These aids and experiences enrich the University years of students with disabilities and allow them to fully contribute to their community and achieve their personal best. Though diagnosed at the age of seven with Neurofibromastosis type 2, Adam neither knew nor accepted boundaries or limitations. While the disease gradually robbed him of his hearing and vision and impaired his mobility, it left his brilliant mind untouched and spirit undaunted. Adam believed it was important on both a personal and professional level, to be actively engaged in life-to have achievability. And achieve he did! At the University of Michigan, Adam earned numerous academic and journalistic awards. He was a member of several Honor Societies including Phi Beta Kappa, Golden Key Society and Kappa Tau Alpha (Journalism Honor Society). He received the John Rich Award for Journalism Excellence and was twice honored with the prestigious Columbia Gold Circle Award for Journalism for his work on the Michigan Daily. Adam spent four years as a sports writer for The Daily, where he also served as Night Editor, Senior Editor for Sports and as a byline columnist, writing "Miller's Crossing" his senior year. 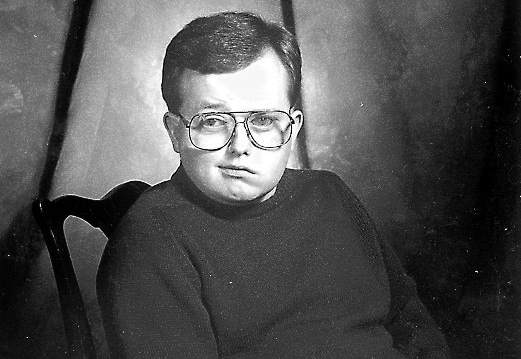 During his undergraduate years at Michigan, he authored several articles on masculinity and disability. He and his co-author Professor Tom Gerschick are considered national authorities on the issue of the effects of physical disabilities on masculine identities. Their articles appear in many books and magazines, as well as sociological journals and textbooks. Adam was active in the University's Hearing-Impaired Students Organization and helped to maintain the Barrier-Free Computer-Users Group as well. He believed that it was vital for people with disabilities to communicate with and support one another. To further that end, he created and maintained the web site for the NF2 Crew, an international group of people affected by his disease. Because NF2 is such a rare disease, Adam believed it was vital for The Crew to provide a forum where information, treatment options, medical developments and personal support could be obtained. After earning his Masters in Journalism from the University in 1996, Adam concentrated his efforts on computer-assisted reporting. As Founder and President of WebCrossings. Ltd, Adam developed and maintained a variety of award-winning web sites for clients ranging from WDIV-TV4 to Michigan Ear Institute. He served as the Technology writer for HOUR Detroit magazine and was a frequent free-lance contributor to the Ann Arbor News. He was also passionate and devoted fan of the Michigan Wolverines and proud to be a True Blue MICHIGAN MAN. I don't worry about the meaning of life - I can't handle the big stuff. What concerns me is the meaning IN life - day by day, hour by hour, while I'm doing whatever it is that I do. What counts is not what I do, but that I DO IT at all? Adam S. Miller passed away in 1999.